In an absolutely stunning move, federal prosecutors just dropped all charges against former GOP Rep Aaron Schock. Schock was a rising star in GOP politics and his corruption case sent shockwaves through D.C., but it seems the feds didn’t have the goods after all. They have decided now, after they ruined his reputation and career, that simply paying back money to the IRS and his campaign fund would be sufficient. From The Chicago Tribune: In a surprise move for a high-profile public corruption case, federal prosecutors in Chicago have agreed to drop all charges against former U.S. Rep. Aaron Schock if he pays back money he owes to the Internal Revenue Service and his campaign fund. The stunning deal, known as a deferred prosecution agreement, was announced Wednesday during what was supposed to be a routine status hearing for Schock. 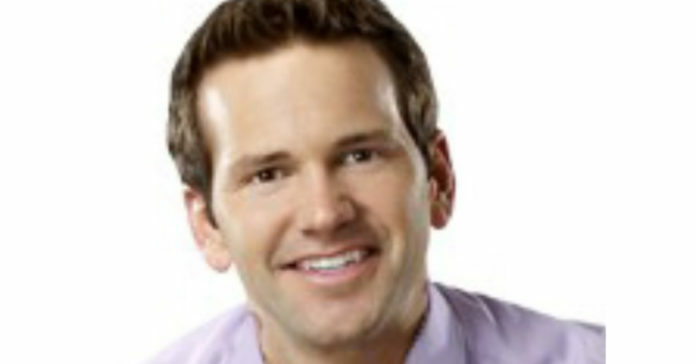 According to the agreement, Schock, 37, must pay back taxes to the IRS and $68,000 to his congressional campaign funds. If he does so — and stays out of any new trouble for six months — prosecutors would drop all felony counts against Schock in September, leaving him with a clean record. As part of the deal, Schock’s campaign committee, Schock for Congress, pleaded guilty Wednesday to a misdemeanor count of failing to properly report expenses. U.S. District Judge Matthew Kennelly approved the deal after prosecutors said they had taken a fresh look at the charges and decided this would be a “fair and just” outcome, especially given that Schock has no criminal record and resigned from public office. The abrupt resolution came six months after Schock — in a stroke of luck — had his case transferred out of Springfield because the judge overseeing the matter was accused of having improper contact with the prosecutors’ office in an unrelated case. Schock had been scheduled to go to trial June 10 in Chicago. Schock’s attorney, George Terwilliger, said Wednesday he offered to speak to prosecutors under U.S. Attorney John Lausch almost as soon as they took over the case last summer. “We felt all along that if some reasonable prosecutor would sit down and objectively look at the facts here, they would come to the same conclusions that we did — that is, that mistakes are not crimes,” Terwilliger said. In a stunning embarrassment to the feds, the public corruption case against Ex-Rep. Aaron Schock ended Wednesday with a deferred prosecution agreement, with no criminal convictions against him, while his campaign committee pleaded guilty to a misdemeanor. Schock appeared in a federal courthouse in Chicago Wednesday morning, where U.S. District Court Judge Matthew Kennelly approved a deal to put Schock’s public corruption case on hold for six months. If Schock holds up his end of the bargain, prosecutors will dismiss the charges against him. If he doesn’t, the feds can go after him for any crime. Under the agreement, Schock has to reimburse his campaign committee $68,000. He has to pay outstanding taxes from 2010 to 2015, as well as admit certain facts, including that he failed to accurately report mileage. Assistant U.S. Attorney Erik Hogstrom called the deal with Schock a “fair and sensible resolution to this matter.” He said Schock is taking “appropriate public accountability for his conduct.” He also noted that Schock has resigned his office and has no criminal history. “The outcome validates this case should have never been started in the first place,” Schock said in the statement. Schock said he intended on meeting the terms of his agreement with the feds.